We’re very excited to have got our hands on some Ogleshield – Montgomery Cheddar’s softer, washed-rind, Jersey milk cousin. Ok so they’re not much alike, but they are made at the same place. 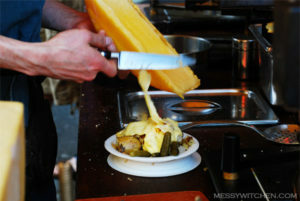 Made with fattier milk from a herd of Jersey cows, the cheese is then washed in brine every three days. It has a fruity flavour and a supple texture. 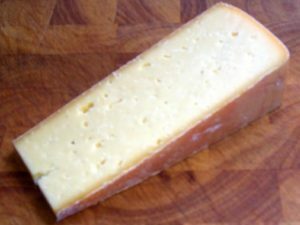 It’s great for cooking, raclette-style or otherwise, but also a tasty nibble in its own right – a less gooey alternative to some other washed-rind cheeses.